NASHVILLE, Dec. 2, 2016–Yesterday, Beacon Transport announced the start of their 2nd annual fundraiser to benefit local homeless shelters, including the Nashville Rescue Mission. Beacon staff members and truckers will be banding together to collect donations for those less fortunate. Items to be donated include seasonal items such as coats, gloves, blankets, and other articles of winter clothing. Personal hygiene items such as toothbrushes, toothpaste, and soap will also be focal point of their efforts. This donation drive will run until December 16th. Beacon Transport also announced that they have officially partnered with the Salvation Army’s Forgotten Angels program. Together, the office staff have collectively adopted two “angels,” a little boy and a little girl, both of whom come from extremely disadvantaged backgrounds. Together, Beacon’s staff plans to raise money to purchase items on these children’s’ wish lists, as well as other items they need. The Nashville Rescue Mission is a charity working in both in Nashville, and the Middle Tennessee area at large, to empower members of the homeless community through rehabilitation and job training. The Nashville Rescue Mission’s ability to give motivated individuals the skills they need to get back on their feet has made them one of this city’s most well-respected charities. Famous for their work around the world, the Salvation Army is a Christian non-profit working across international borders in a number of different capacities, including anti-trafficking efforts, opposition to modern slavery, disaster relief, and much more! In Nashville, the Salvation Army’s focuses on empowerment for the disadvantaged, from the homeless community to children in need. 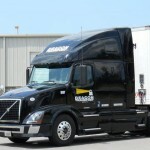 Beacon Transport is a truckload carrier company based in Nashville, Tennessee that specializes in hauling non-hazardous dry freight throughout the Southeast, Midwest and Southwest. Their clients include John Deere, Michelin, Carrier Corporation, Frito-Lay, Electrolux Home Products and Bridgestone/Firestone, to name a few.